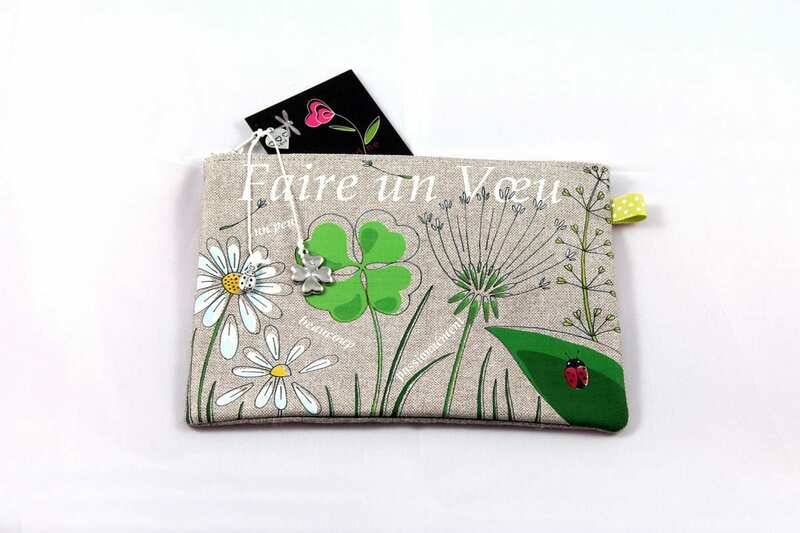 Natural linen pouch illustrated "make a wish"
Two charms (ladybug and clover in antique silver) are attached to a white waxed cotton cord. Small Lime Green Ribbon with white polka dots on the side. The illustration shows among other daisies to pluck, a four leaf clover, a ladybug and the inscription "Make a wish".